Lavender oil is known for its ability to help you relax, feel calm and reduce anxiety. It is for this reason that some people enjoy placing lavender sachets on their bedside tables. However, lavender oil is excellent for use in food, like desserts. Many boutique ice cream shops now offer flavors like vanilla lavender — and for good reason! It’s mildly floral flavor complements many dessert flavors nicely. It is worth noting that, due to its relaxing effects, you may not want to consume lavender oil right before high-energy activities or tasks that require significant concentration. Cooking with peppermint essential oil can help to ease tension headaches. It’s no secret what makes peppermint so great. It can be added to all kinds of recipes — especially desserts — to add a hit of cool refreshment. 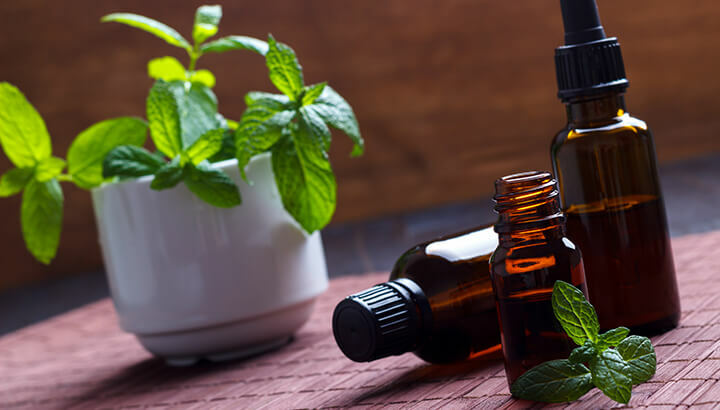 And what’s more, studies have shown that peppermint oil can be effective at treating irritable bowel syndrome, itching and irritated skin, congestion and tension headaches. Bergamot oil is often added to Earl Grey tea, so if you’re a fan, you’ll enjoy this essential oil. It can be added to other teas as well or used in pastry recipes, if you enjoy scones or coffee cakes with your tea. Bergamot oil has been shown to have antimicrobial, anti-inflammatory and analgesic effects. A classic favorite for many of us. Cinnamon adds a warm, sweet, slightly spicy flavor to many recipes. And it can be added to beverages like tea or hot chocolate for a little extra kick. Research shows that cinnamon oil has a range of health benefits, including antioxidant, antimicrobial, anti-inflammatory and antidiabetic effects. Cardamom often works well with cinnamon, in terms of flavor. It’s great in beverages like chai tea. It adds a little spice and warmth both to desserts and savory dishes. As this study demonstrates, cardamom oil has been shown to have antispasmodic and analgesic benefits. 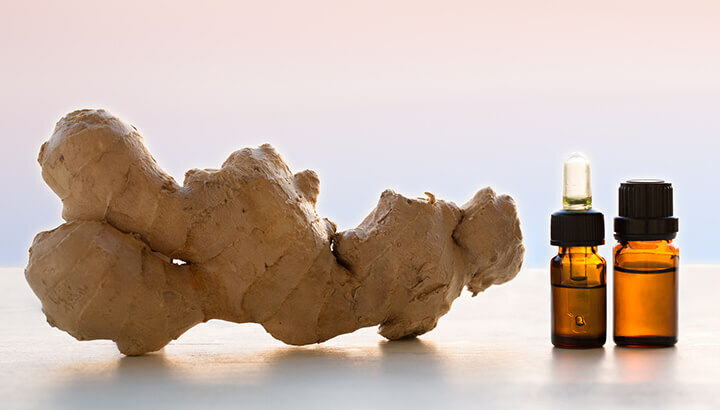 Cooking with ginger essential oil can help to treat an upset stomach. Who doesn’t love treats like ginger snaps? Ginger is excellent in all kinds of recipes, from gingerbread cookies to sushi, which is often accompanied by pickled ginger. Ginger is a great digestive aid, as well. It helps to promote proper digestion and can be used as a treatment for gas. Many also use it as a treatment for motion sickness, as an alternative to medications like Dramamine. Thyme is delicious in savory dishes, especially those that involve meat. And it’s a great herb to use if you’re making bone broth. It’s excellent in soups, stews and other recipes with similar flavors. And research has shown that thyme oil is effective at killing breast cancer cells, fighting acne, improving menstrual regularity, balancing hormones, fighting candida and more. Cooking with anise essential oil can add a pleasant flavor to many dishes. Anise is great in many baked goods, as well as soups and other savory dishes. It is similar to fennel in terms of flavor, in that it has a slightly licorice-like taste. 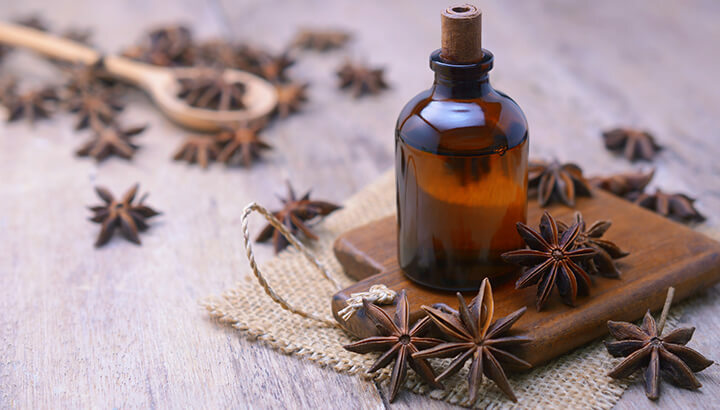 Research shows that anise has antifungal, antiviral, antioxidant and antimicrobial effects. It can also have digestive benefits and hypoglycemic effects in diabetic patients. Clearly, adding essential oils to your favorite recipes can have a number of important health benefits. And it can add extra flavor to your dishes, as well. It is significant to note that consuming essential oils is a topic that is not without some controversy, however. Due to the fact that essential oils are so concentrated, it is thought by some that consuming them may be unsafe. Even some of the most popular essential oils should not be consumed above certain dosages. And some essential oils are definitely not safe to consume and should not be used in cooking. Before adding any essential oils to your food, it is a good idea to consult with a naturopath or other medical professional. 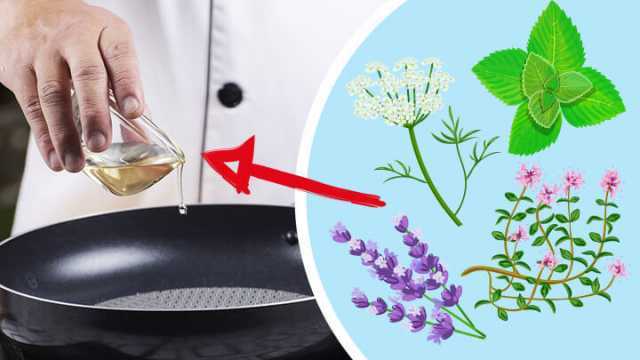 Nonetheless, many believe that adding small amounts of safe essential oils to your recipes can be an easy way to boost the flavor and positive health impact of many of your favorite foods. Hey Buddy!, I found this information for you: "8 Essential Oils In The Kitchen To Improve Health And Flavor". Here is the website link: https://www.thealternativedaily.com/essential-oils-to-cook-with/. Thank you.